Some think November is the best time to come to Cumbuco (Brazil) for kitesurfing. It’s indeed the middle of the high season, but the hardest winds you get in July, August and September. With its tropical climate of 30 degrees Celsius year round and 28 degrees water temperature, you never have to worry which clothes to wear. In Cumbuco boardshorts and/or bikini will do, also on the water. 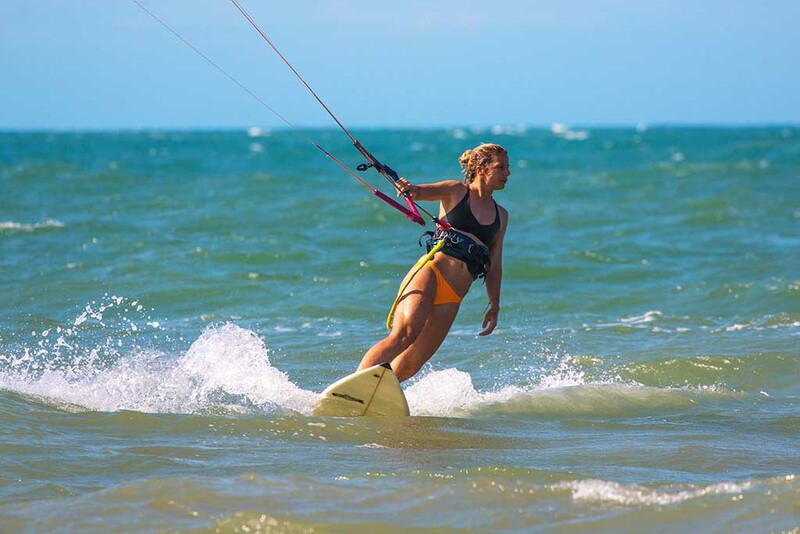 Sun lovers and kitesurfers enjoy Cumbuco from January until December. Although the wind is at its best from June until January, you still can enjoy kitesurfing the other months too. The wind reliability on ‘low season’ is about 60%, while in high season it’s 95%. These percentages are really exceptional and proves Cumbuco to be the most reliable and best kitesurf place in the world.